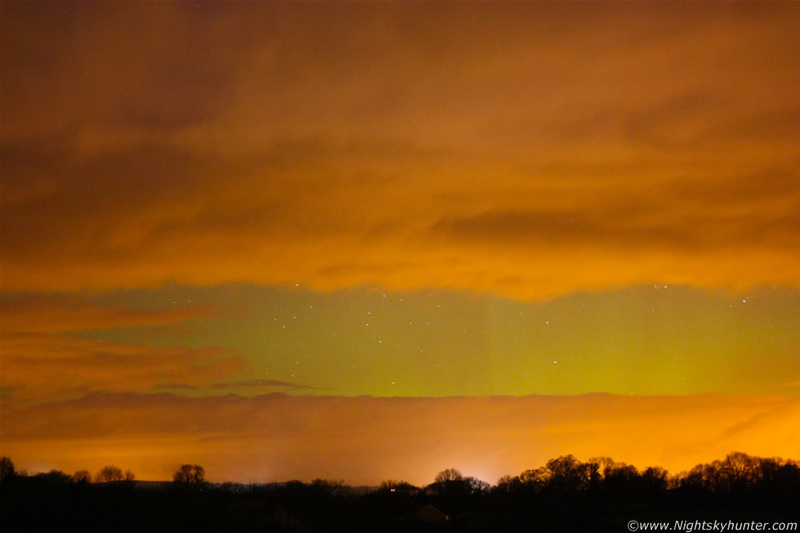 Another image of the Feb 18th/19th 2012 aurora display. This was taken with a fast 50mm F/1.8 lens showing a multitude of green vertical rays (beams) within the auroral band during a brief outburst in this display after 03.00 in the morning. I was lucky enough to have captured this activity through a break in the clouds. For more information and images check out the REPORT.